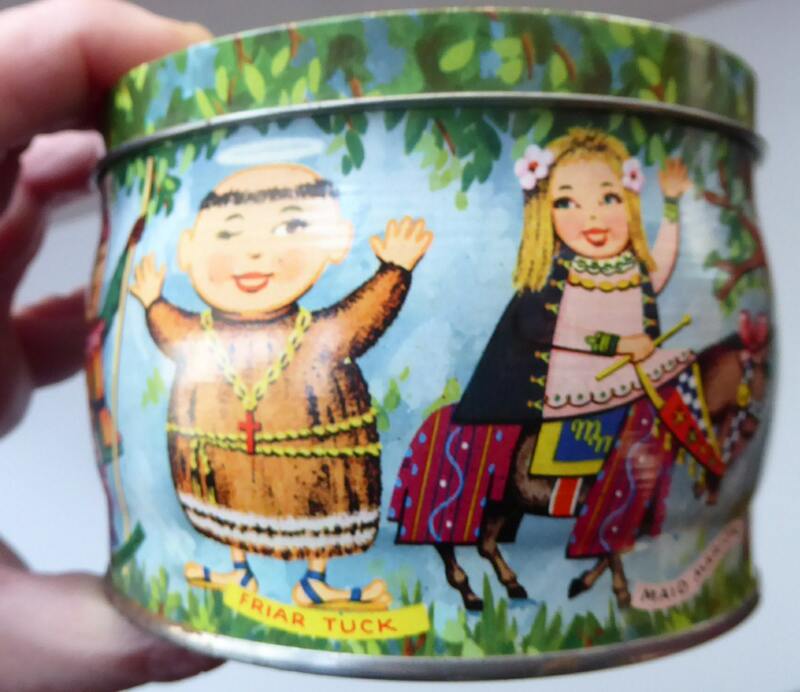 This is really a cute little vintage toffee tin - dating to the late 1950s or 1960s. 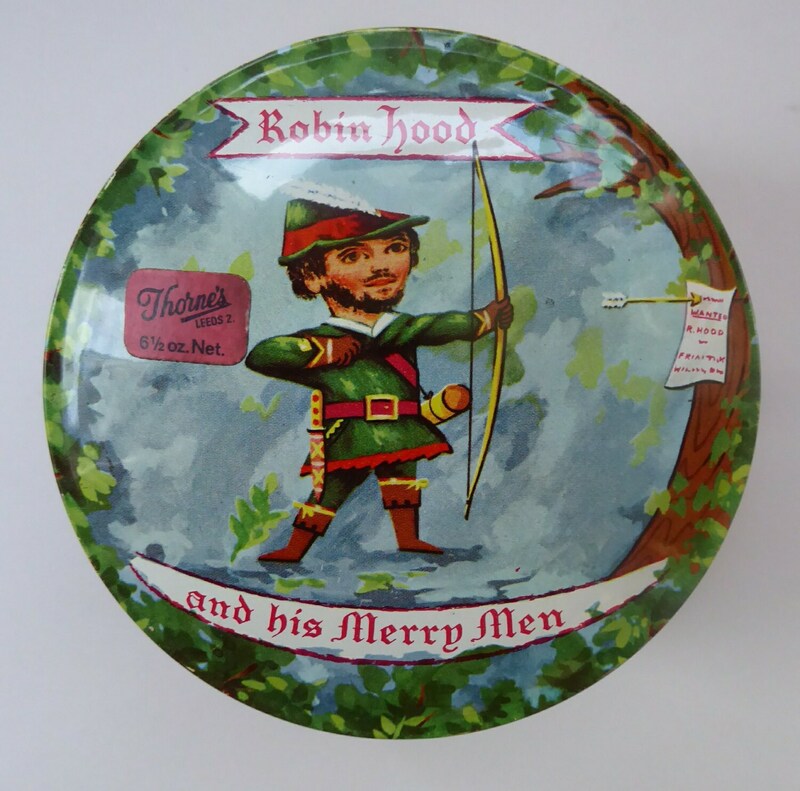 It was designed by Thorne's toffees (paper label still on the lid). 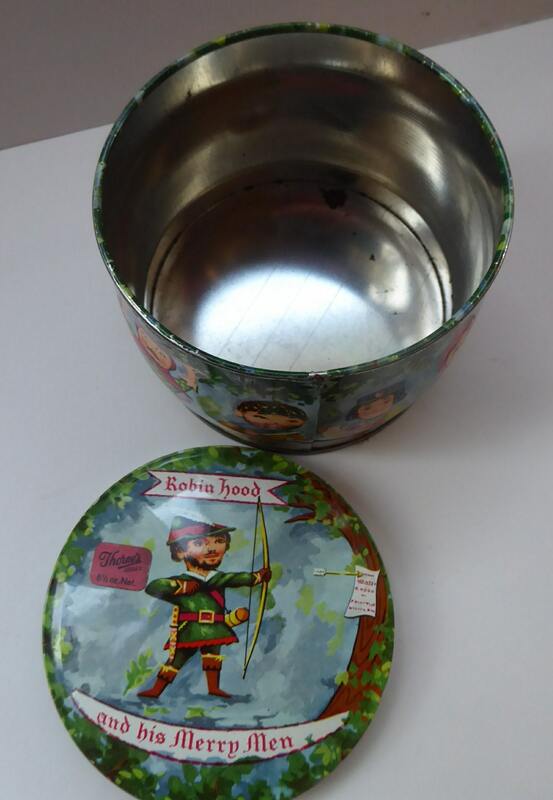 The lid shows an image of that hero of folklore - Robin Hood. He is shown as a cartoon figure and holds a bow and has just shot an arrow and proclamation to a tree in the forest. It is a rare survivor now - and in good vintage condition. The tin has no nasty dents or scratches - and the colours are all still bright and fresh with hardly any signs of fading. The tin still retains a nice shine to the surface. 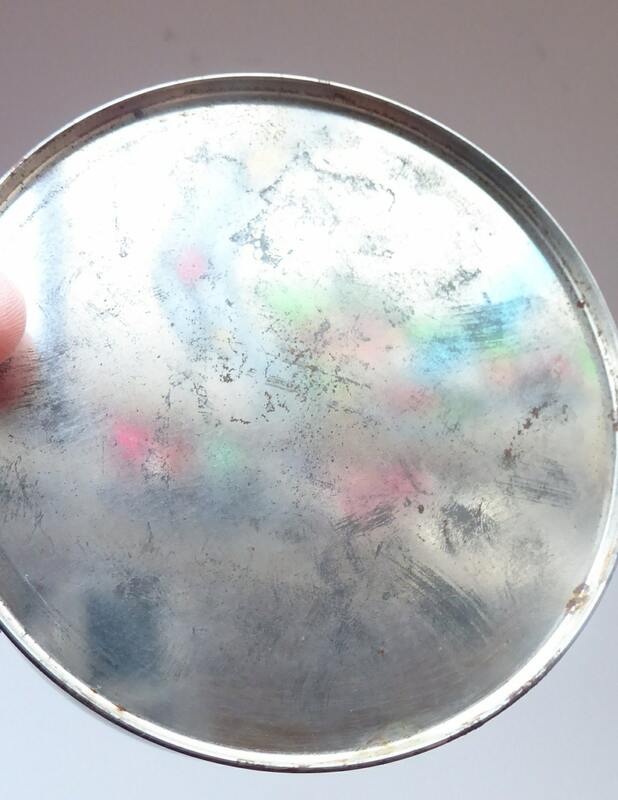 Inside - there is the customary oxidisation of the tin that you find on tins of this age - but it is generally nice and clean. 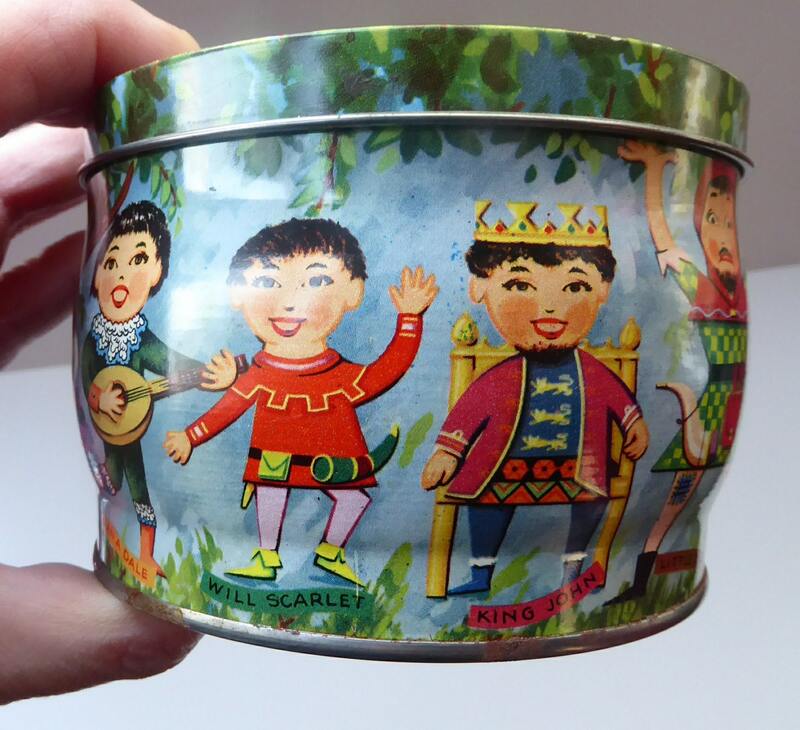 A lovely tin - and rarer design. Probably an item for the specialist tin collector. Dimensions: diameter is 4 1/4 inches and height is 3 inches.